The Astoria spares no expense to provide the utmost in elegant living. 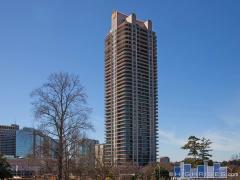 Living at the Astoria means living in South Buckhead splendor. Astoria features beautiful condo homes in the Peachtree Battle Neighborhood. Astoria homes feature upgrades such as Viking appliances, Sub-Zero Fridges, Marble Baths, 4-inch hardwoods and lovely terraces. Have any comments or questions about The Astoria Condominiums? Ask your question and/or share your thoughts about this Building.